T&H Contract Services have a good understanding of the building industry and a great deal of experience on projects of various sizes. This allows us to offer a particularly high standard of post build cleans. The amount of dirt and dust which is generated when building works are underway can be quite overwhelming, so a thorough clean is essential both for Health and Safety reasons and to get the place looking presentable. 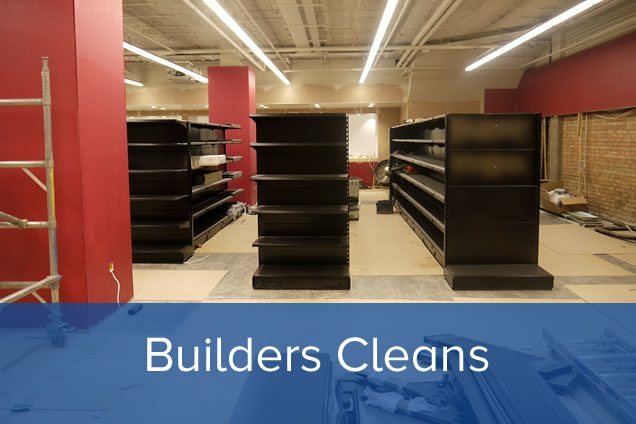 Our builders clean contracting service is the perfect and professional way for the construction industry to tidy up post construction work. As professional cleaning contractors we can provide experienced and cost effective cleaning solutions to ensure your project is in the best condition for your client handover. When working on construction projects skilled tradesmen will do an excellent job for you, however we are yet to come across the company that leaves the premises in a sparkling clean condition. From dust to spillages; dirt and grime of all descriptions can be left behind once the work is finished. Attempting to remove residue or cleaning with the incorrect chemicals could lead to permanent staining and further expense. Allow us to take care of this for you with our builders clean service. We work with a number of construction companies and local builders to provide an on going cleaning service throughout their projects. Cleaning can be booked to be completed at various phases of your project as you require it. Frequency of visits can be arranged and by regular maintenance cleaning throughout the project, nasty surprises at the end can be reduced and the final clean can sometimes be completed in a shorter timeframe than otherwise possible. A full end of build clean is always needed and we supply this service on a regular basis as well as Final clean services after snagging is completed and before site handover.